Here kitty kitty! 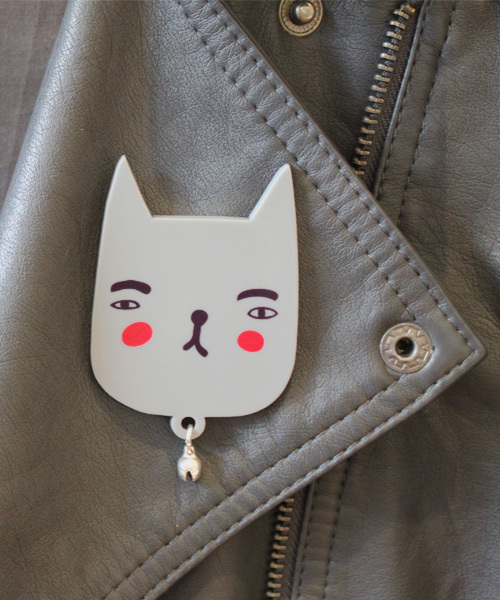 Never lose sight of your favourite feline companion again with Lazy Oaf's latest Cat Brooch with its very own jingly bell on so you know where it is at all times. This printed Perspex piece is simply purrrrrfect for all of those cat lovers amongst us. And you really will look like the cats whiskers when you pin this kitty onto your jacket, dress or blouse collar. If you like cats then you are gonna love the little furries on the Cat Party blog at miaowmix.blogspot.com.